Jam 5:7, 8 Be patient therefore, brethren, unto the coming of the Lord. Behold, the husbandman waiteth for the precious fruit of the earth, and hath long patience for it, until he receive the early and latter rain. Be ye also patient; establish your hearts: for the coming of the Lord draweth nigh. Hos 6:1 – 3 Come, and let us return unto the LORD: for he hath torn, and he will heal us; he hath smitten, and he will bind us up. After two days will he revive us: in the third day he will raise us up, and we shall live in his sight. Then shall we know, if we follow on to know the LORD: his going forth is prepared as the morning; and he shall come unto us as the rain, as the latter and former rain unto the earth. Notice these verses all talk about a move of God that is coming close to when the Lord returns (Read also Joel 2). The Church needs to know about and be praying for the end-time revival. It is going to be the greatest revival this world has ever seen and we are going to be a part of it! Click the links below or scroll down to read the prophecies. “During the next few decades there will be two distinct moves of the Holy Spirit across the church in Great Britain . The first move will affect every church that is open to receive it, and will be characterized by a restoration of the baptism and gifts of the Holy Spirit. “The second move of the Holy Spirit will result in people leaving historic churches and planting new churches. Prophecy by Kenneth E. Hagin 1983, below are only parts of the prophecy. CLICK HERE for the full prophecy. everything you’ve seen put together and then plus a little bit more. manifestation of casting out demons that you haven’t seen yet. you have not seen in your life time, or read about, or heard about, saith the Lord! And a revival of the super ral, not only the super ral in casting out devils. and found in another place. And great! GREAT! GREAT! Shall be the reward thereof. can’t hold them. There won’t be church houses enough to hold the people. Amen, Amen. pull it in. hallelujah. And bring them in. ordained for you from the foundation of the earth! Hallelujah. Hallelujah. shall be the reward thereof. For He’s speaking unto many hearts. And they walk on in the ral and pay no attention to their heart. He’s speaking to many spirits! They walk on in the realm of the mental, thinking their own thoughts, planning their own way. Rejoice and be glad. In the face of adversity. In the face of seemingly ral defeat! Because you have inside information, information inside the Word, information given by the Spirit. Yes! Yes! This is the time of restoration. And there is coming a restoration in the world, in the ral realm. Restoration of marriages. Restoration of those who have been out of fellowship one with another. . . .
And it’ll grow in intensity. . . . it will be a glorious year. It will be a year of heaven on earth! But the end will be [even] more glorious than the beginning . He said, “Now, you must tell the people. You’ve got to tell them that judgment is coming to the Church.” He didn’t tell me when that would happen, but Dad Hagin got caught up in the Spirit during the 2003 Winter Bible Seminar and prophesied about the years 2004 through 2006. He prophesied that 2004 would be a year for more. Then he said that 2005 would be a year of judgment. Every arena of our lives will be judged. That means that judgment is coming to the Church, but if we judge ourselves, we won’t be judged. When I was in Heaven, God told me that in 2007 this new revival will be up and running. He also told me that 2006 will be a year of marvels. We’re going to just marvel at what God does. But before that, we must judge ourselves to see if we are living in obedience to God’s Word in every arena of our lives. Judge yourself in the way you are treating your spouse. You’ve got to judge yourself on your attitude about money. Ministers must judge themselves. There will be some ministers that won’t be around here at the end of 2005. There are some ministers on the forefront that won’t be here anymore. We must judge ourselves in every arena of life. The Bible says in First Corinthians 12 that if we judge ourselves that we won’t be judged. So, that’s easy–judge yourself with the Word of God and you won’t be judged. I’ve already made up my mind that I am going to make it through 2005. If you’ll pray in the Holy Ghost, He will show you what needs to be changed. If there’s a wrong attitude toward anyone in your family, get rid of it. What about any wrong attitudes towards your pastor? What about wrong attitudes toward giving tithes and offerings? Get rid of stinginess. Judge yourself. As I was in Heaven, I felt a hand touch me on my head and Jesus told me that He was giving me an endowment to kill cancer, and that I would begin seeing the healing endowment He placed in my right hand in 1971 increase until, eventually, 100 percent of those I minister to who have cancer will be healed. He also told me that the five-fold offices will be operating at their full potential in these last days. He then spent time telling me about the pastoral office more than the other offices, and He said this last-days revival is going to be in the local church. Now sit idly by and recognize not the move of the Spirit. Feed not upon the Word of God. But rather walk in the flesh, fulfill the desires thereof, and you will miss entirely that which is taking place in this hour and in this day. But respond ye unto the Word of God. Yea, soak your mind and your heart thoroughly in the Word. Let that Word not only not depart from thine eyes, but hide that Word in the midst of thine heart by speaking it and practicing it, and doing it. Yea, saith the Lord of hosts, be ye prepared. Be ye ready. Walk with Me and be sensitive unto My Spirit. Not only will thou be blessed and they family be blessed, but thy neighbor shall be blessed, and all that thou come in contact with will be blessed; and the blessings of the Lord shall flow like a mighty river. So the winds of the Spirit are gently blowing on the nations. You are seeing the beginnings of the times of the end. End time manifestations of the Spirit are on the horizon. God is revealing His secrets and mysteries to His bride. He is whispering in her ear (The Church) saying prepare yourself for I will come for you soon my beloved. The preparations in Heaven are coming into the fullness of completion. The table is being set for the great supper. Now go swiftly and powerfully my bride. Deliver the invitations of life to the earth and to the nations for the time is at hand. Many are the afflictions of the righteous but faithful is His name that shall bring quick and speedy justice for His sons on the earth. Many shall fear and marvel because of the strong arm of the Lord. For the speed of the wind of the Spirit shall increase upon the waters and waves of Glory shall appear in the midst of the great congregation. They shall shout for joy that favor His righteous cause because the LORD of the harvest does dwell in our midst. He is working to bring forth a glorious triumphant Church that knows no defeat, neither shall any prayer be uttered and not heard from His throne. He is living and dwelling among us. The evidence of His dwelling will be overwhelming in these last days! The temple is being filled with His glory and so the earth shall know it and fear the Name of the LORD! Get ready my people for I will speak in volumes to the nations. I will roar out of Zion. I will release Angels from my very presence to assist you in this quick and mighty work, Signs wonders and notable miracles will manifest in the lives of those who have digested my truth and whatever you ask or desire it shall be granted, it shall be done! You are my masterpiece and my poetry in motion. My beauty is upon you and it shall increase more and more until it reaches the Heavens. You shall be changed in a moment in the twinkling of an eye. Mortality will be swallowed up. Perfection and restoration of all will be the culmination. So look up now and peer into the realm of the Spirit. Can’t you see it? Can’t you hear it? It is the wind of the Spirit approaching at the speed of My Light! I believe that the power of darkness is becoming so strong in the world , that if we don’t heed the words of these prophesies and learn to walk in the spirit , live in the spirit and abide in him , we will not be able to overcome . I have been through a six year trial and am a totally changed Christian . I hate trials but thank God for the change in me, because I was too much of a carnal Christian before the trial. I haven’t arrived so to speak , but thank God I’m not where I used to be, I pray that everyone that is riding the fence will judge themselves before they have to endure a trial like I had to , to change my heart , because if a God has called you he will allow certain things to move you closer to him and as tough as it may be , he allows things in his mercy to bring you closer to him. I had no intension of writing here , but I got started and couldn’t quit. THANK SOOOOOOOOOOO MUCH FOR SHARING. THE HOLY SPIRIT KNEW I WOULD READ YOUR TESTIMONY ON JAN 16TH, 2015. Sometimes, we don’t understand why we do certain things but obedience is so beautiful and yours has encouraged me. 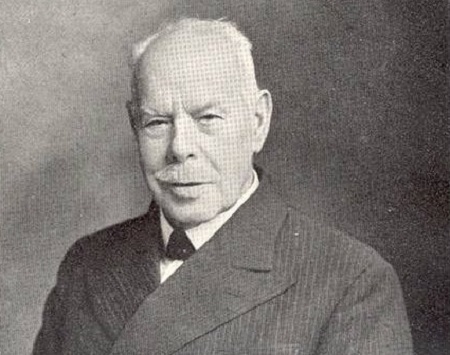 interesting in the Smith Wigglesworth prophecy ” Didnt he state is was going to start in Australia or New Zealand?? ?” i read this prophecy so many times and people always add to it or leave stuff out.. Why people do that??? beats me? ?